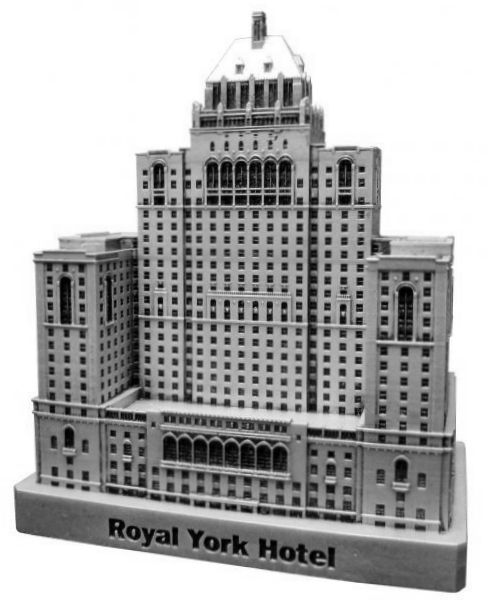 The Royal York Hotel is located at 100 Front Street West in Toronto, Ontario and was completed in 1929. This building was designed by Ross and Macdonald and Sproatt and Rolph and stands 407 feet tall with 28 floors. This pewter replica stands 4-1/2 inches tall and is finished in white with a brown stain and green highlights. This model's scale is 1 inch = 100 feet. For more pics check out our May blog.